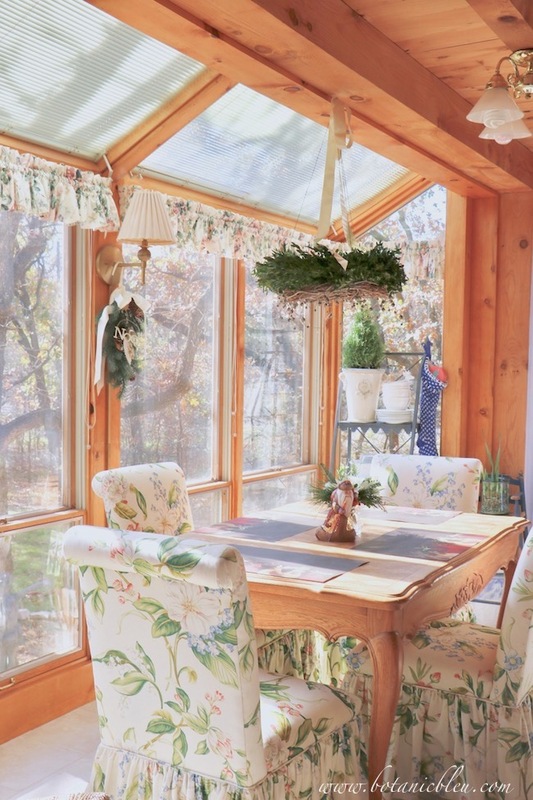 The calm serenity of the breakfast sunspace with its hanging horizontal wreath, rosemary tree, Noël greenery swag, blue-and-white Christmas stocking, and simple Christmas table flowers/Russian Santa lasted only a few days this Christmas. The calm serenity was quickly replaced with those jagged days with sharp edges of R E A L living, not magazine photo living. 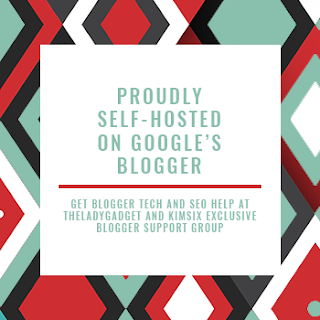 Two of my Texas blogging friends, Stacey who writes Poofing the Pillows, and Jemma who writes At Home With Jemma, shared the R in their PERK Project series this week. R stands for REAL, as in keeping it real. 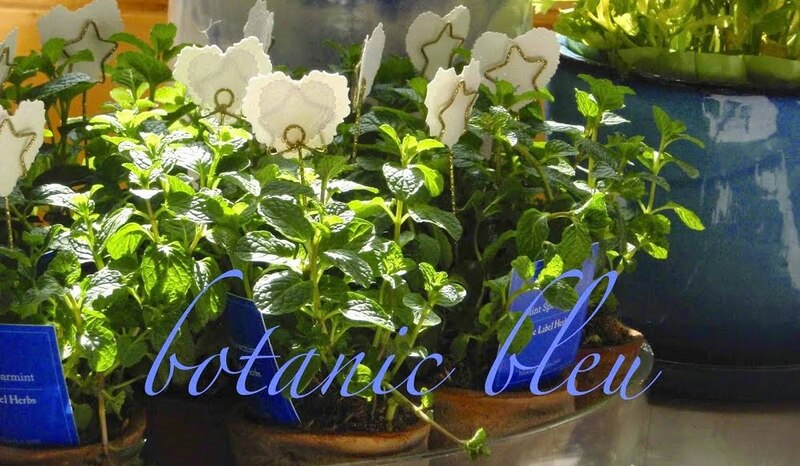 One of the two main purposes of the Botanic Bleu blog is to offer its readers content worth reading. 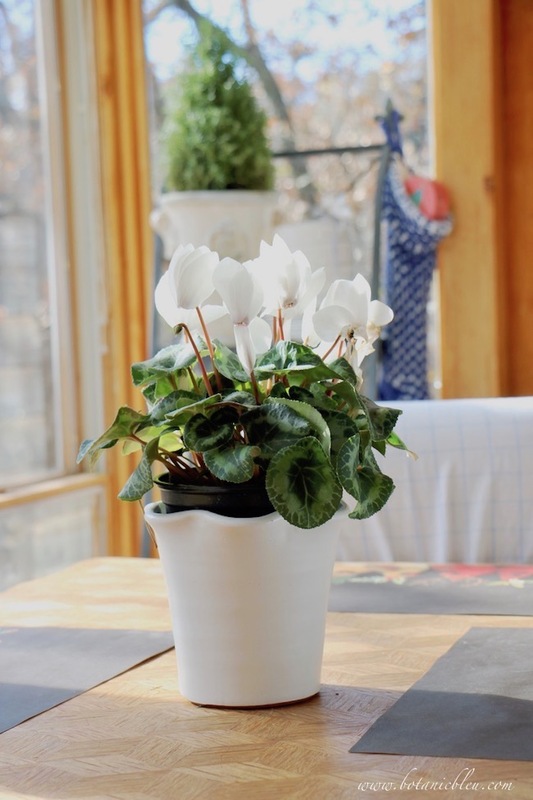 The second main purpose of the Botanic Bleu blog is to share beautiful photos to bring joy year round to its readers with the hopes of giving you ideas for how to create similar beauty in your own home with your own personal style. 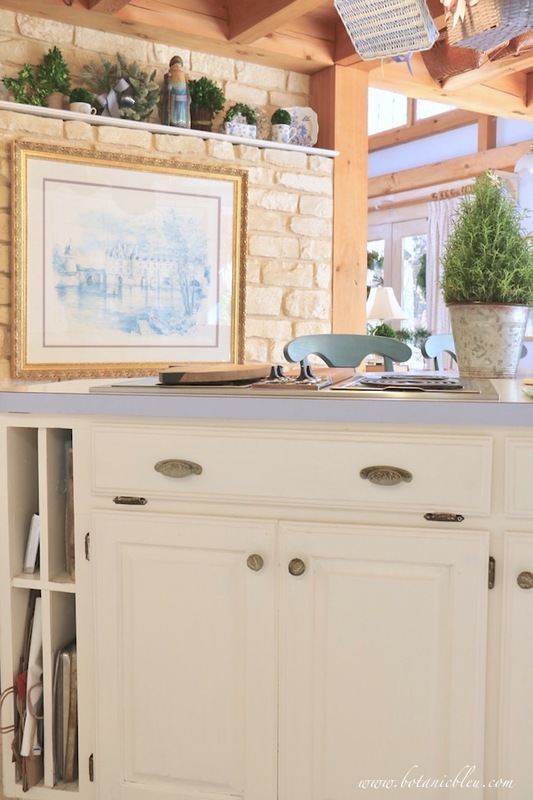 These Christmas kitchen photos taken several days ago, even weeks ago, are just now being shared with hopes you will find some ideas for your own home NEXT Christmas. Reality for me recently has been, and continues to be, a series of jagged days filled with challenges. Some challenges more important than others, but all have been pushing my carefully laid plans into other directions. A crashed computer was but the first reality that pushed aside my time schedule for the blog. The good news was no data or photos were lost. I backed up my entire hard drive just minutes before the logic board died. With the reality of life challenges in the background, Christmas holiday cheer in the kitchen has a way of lifting my spirits. 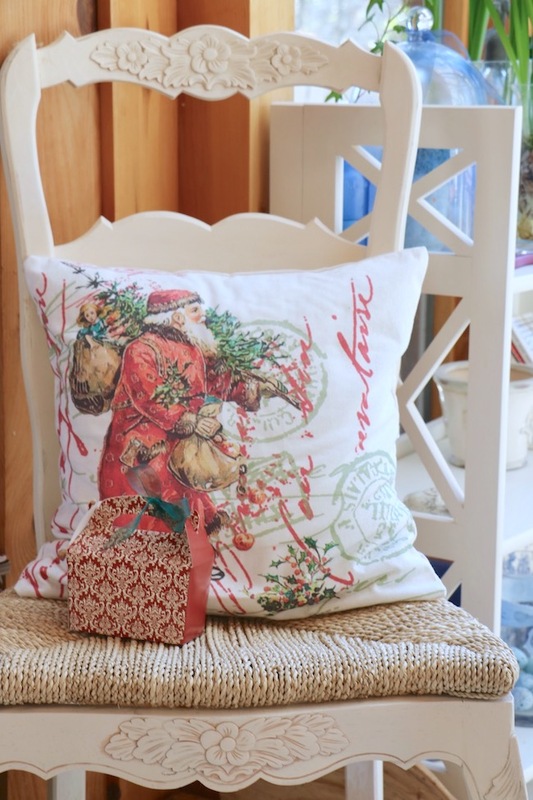 A Christmas pillow in traditional red and green colors is one of the few red and green items in my French-inspired home. The old-world Santa with his bag of toys, Christmas tree, and holly sprigs fills the kitchen with Christmas good cheer. 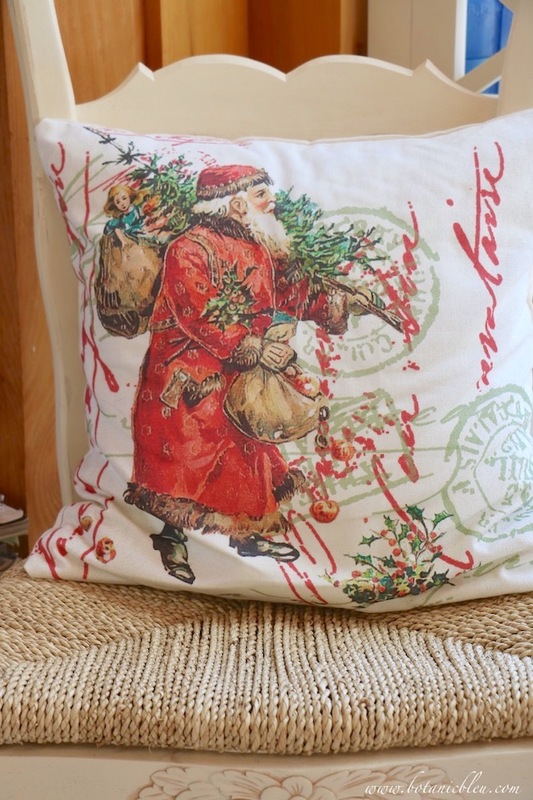 The French Santa pillow cover comes in a black OR white background from Elliott Heath Designs. 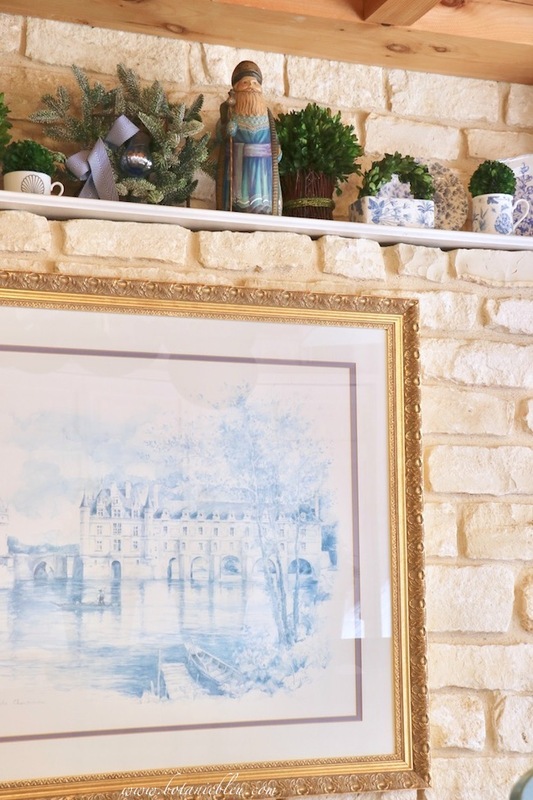 Instead of using traditional Christmas colors, I look for blue Christmas decorations to go with my year-round blue and white color schemes. 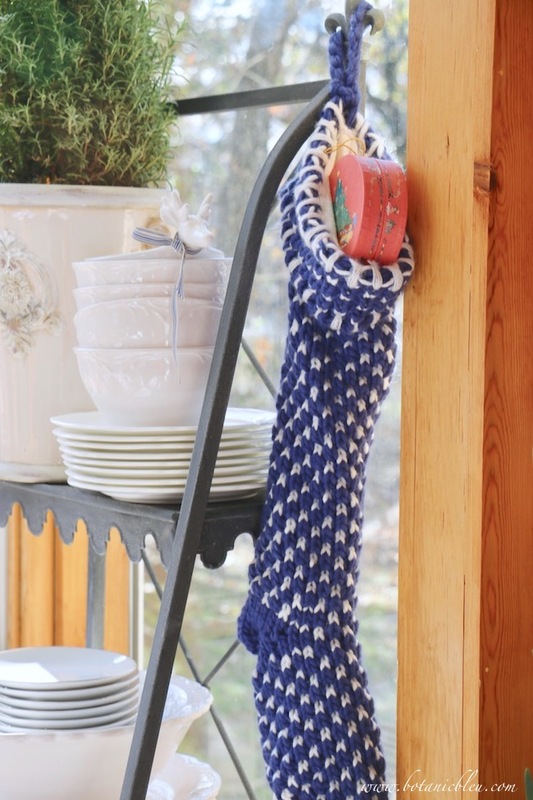 Sometimes blue Christmas items are traditional things like the L O N G blue and white knit Christmas stocking found at Target this year. 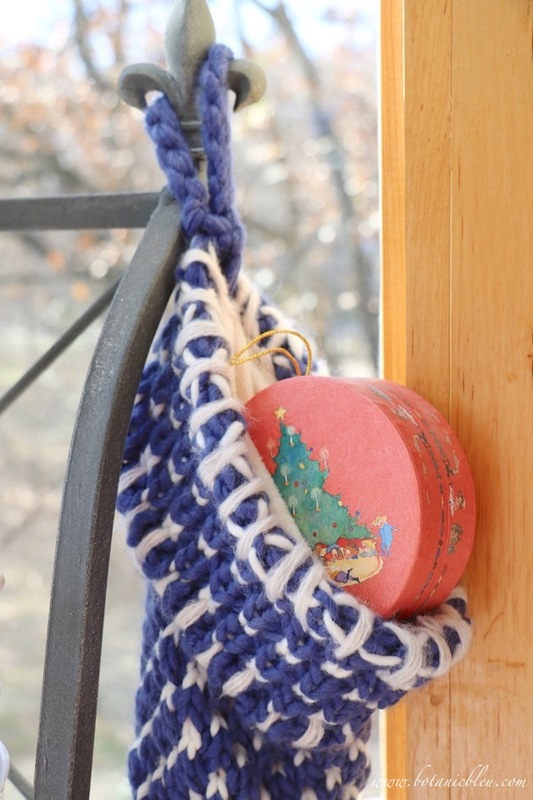 Stockings are not just for fireplace mantels. 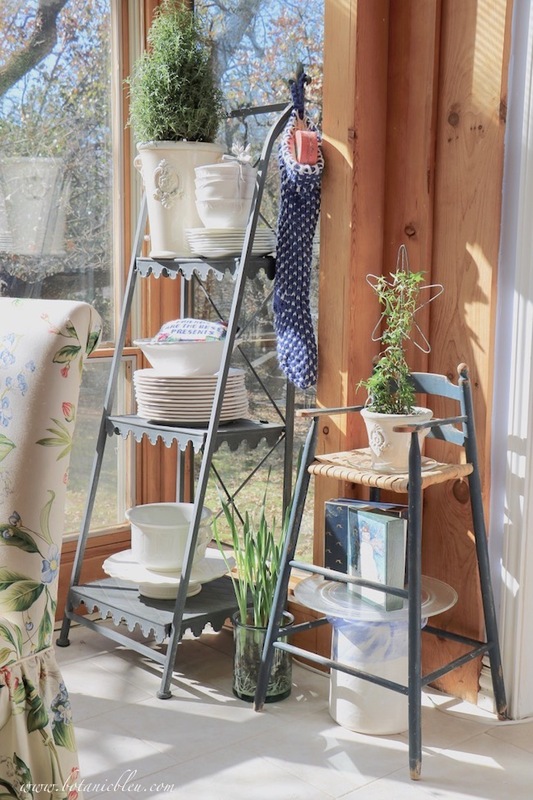 This one hangs from the fleur de lis finial on the metal plant stand repurposed as a plate rack in the breakfast sunspace. Small colorful Christmas boxes can hold candies, cookies, or small surprises for visitors. 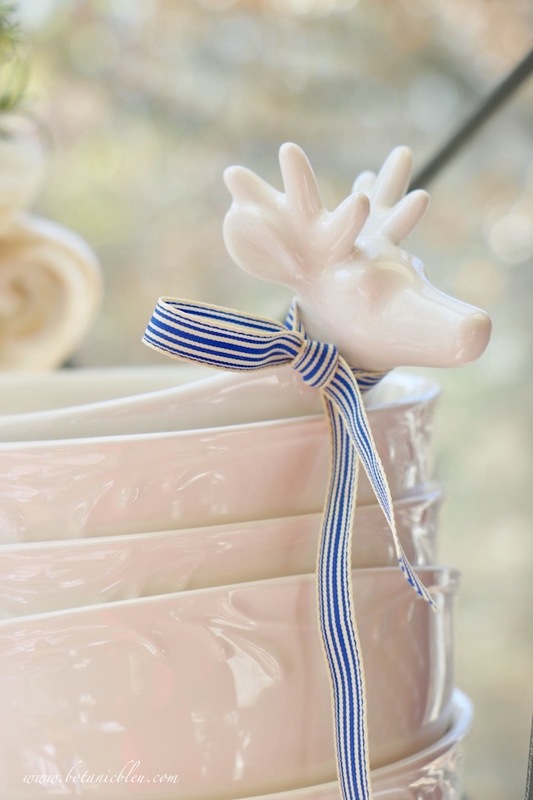 White Christmas deer bowls can fit anyone's color scheme by adding a narrow grosgrain ribbon around the deer's neck. The stack of white bowls were instantly transformed from every day to Christmas with that one small ribbon and a deer bowl. The ribbon by itself does not suggest Christmas, but perks up the Christmas-y deer bowl to create an eye-catching holiday touch to the white dishes. 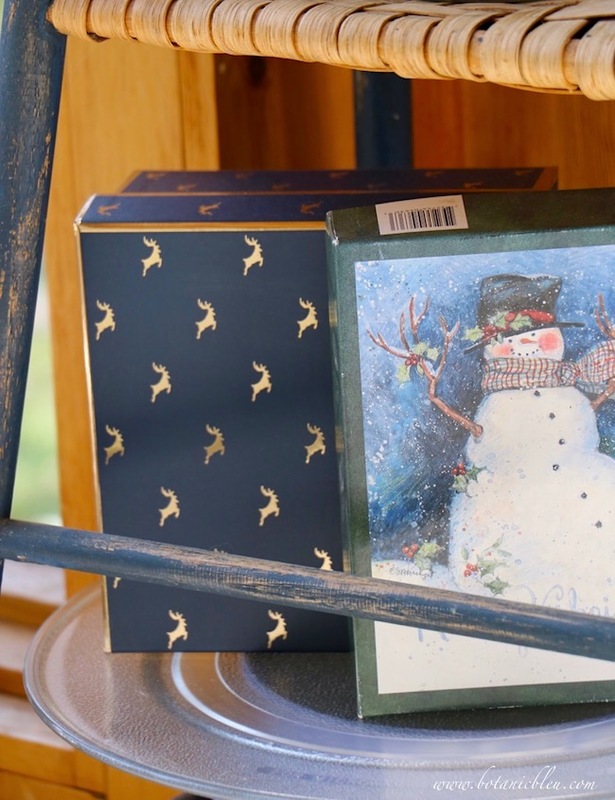 One of my favorite ways to add Christmas cheer to an every day display is to use small boxes... round ones, rectangular ones, square ones... And, one of my favorite kinds of Christmas boxes is boxes printed to match Christmas cards they hold. Every year the boxes reappear either to hold presents or to dress of every day shelves, benches, or bedside tables. 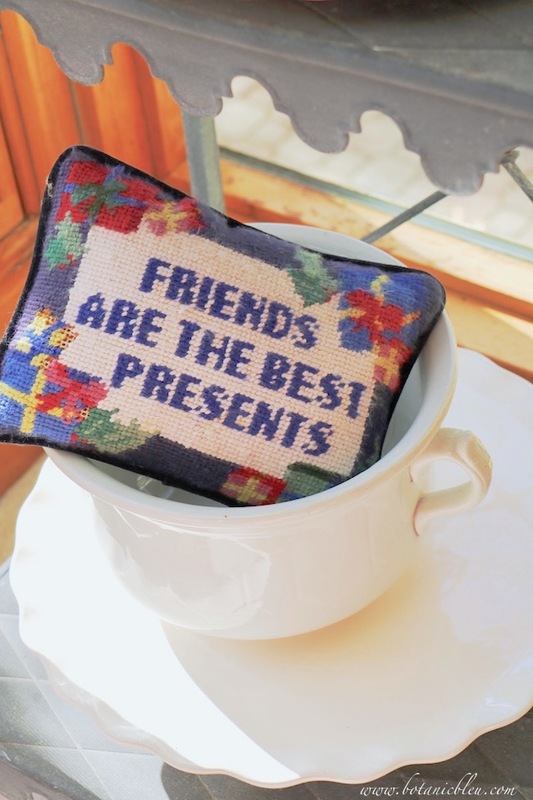 Small pillows can also sit among dishes as well as chairs and sofas. 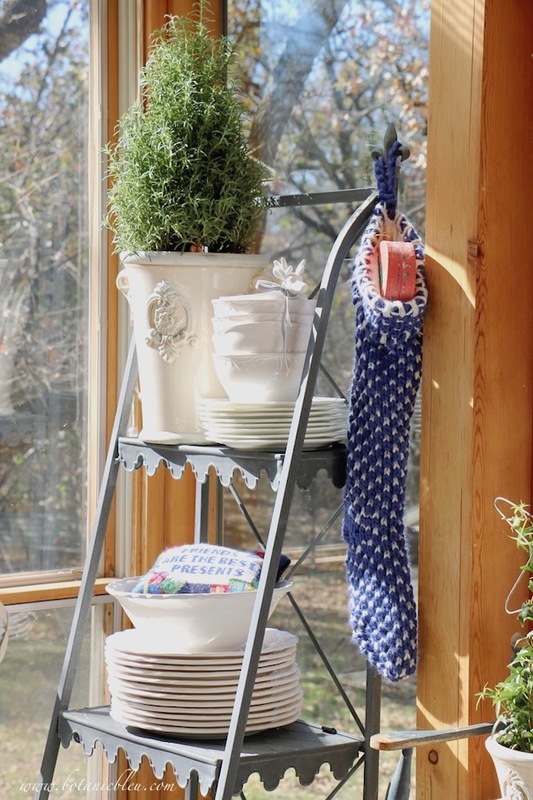 The high shelf in the stone wall holds blue and white dishes and boxwood all year. Only a handful of changes are needed each season to change the shelf. 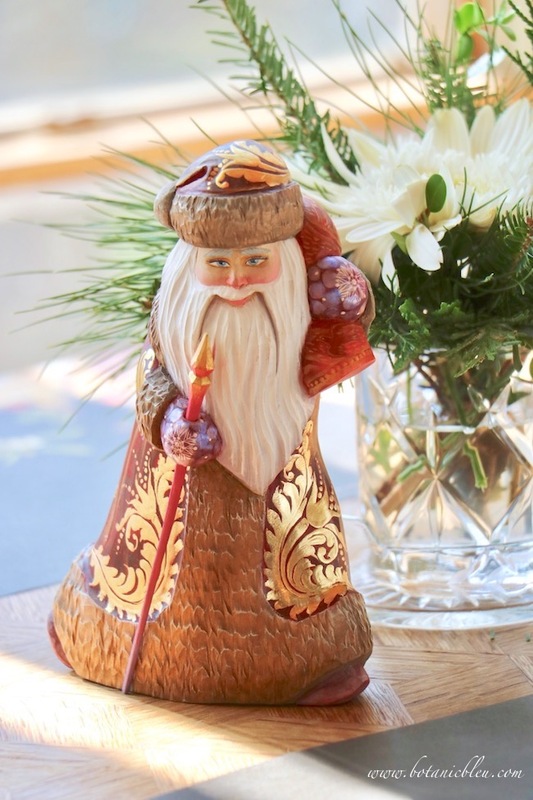 A treasured hand carved Russian wood Santa shows how any color can be used for Christmas. 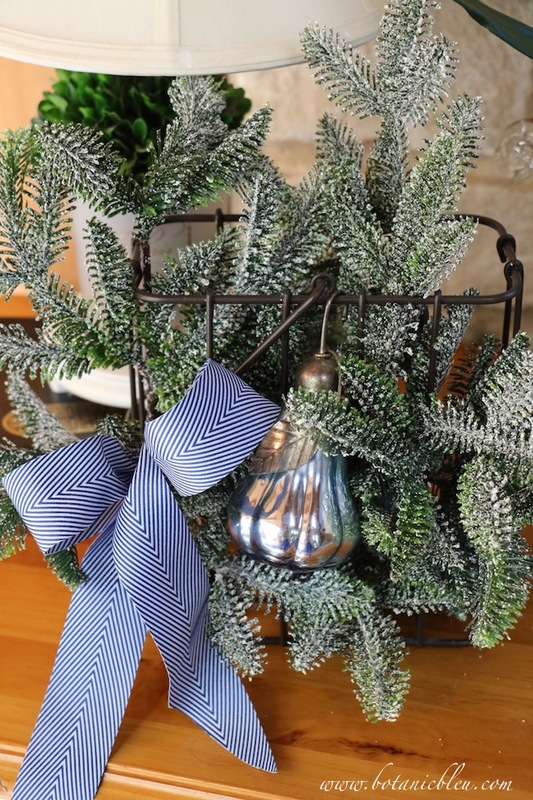 Blue and white ribbon and a blue metal pear transform a black wire basket filled with artificial snowy greenery from a simple traditional Christmas green color to a blue Christmas decoration. 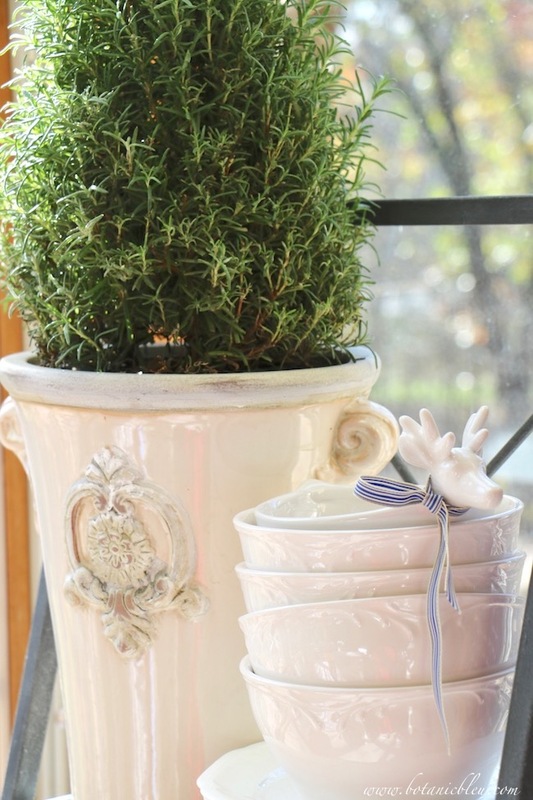 Next year, add two or three holiday ornaments in your preferred color to any greenery arrangement to customize it for your home. The computer crash was the first life challenge this season. The most important challenge in my family's life this Christmas has been critical health issues one of my siblings is facing. To respect my sibling's privacy, there is little I will share publicly. It is not my story to tell. We have been spending time with my family out of state. Blogging has taken a back seat and will be for the foreseeable future. I know everyone has her/his own set of personal challenges in life. Most of us never know what anyone else faces in life. As we grow older, we come to realize everyone has some burden(s) to bear. None of us live a trouble-free life. Yet, we can find silver linings to help us. Gratitude for the good things in life helps us live with hope. We can live each day, and let tomorrow's troubles come tomorrow. I hope that reading Botanic Bleu adds some joy to your life. Thank you for reading. Thank you also to everyone who has left comments and sent private emails in the past few weeks. I am behind in replying to everyone, but want you to know how much I appreciate every comment and email. As I have time and opportunity I will post new articles. 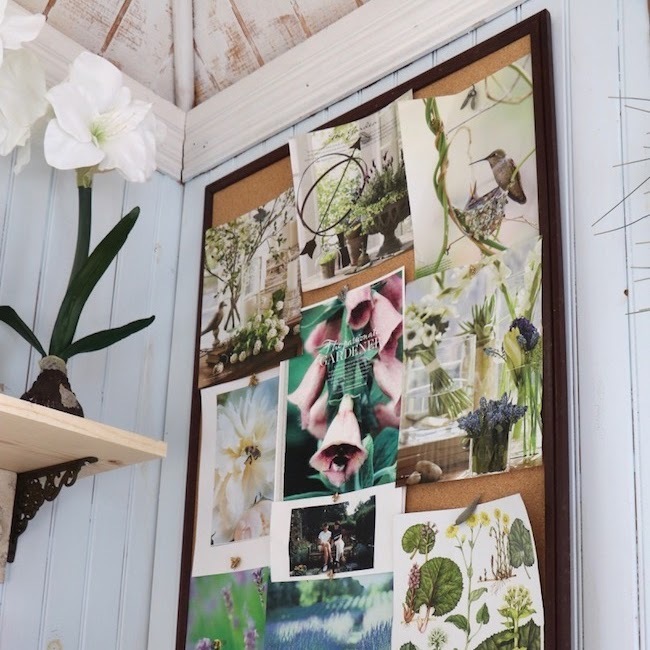 I have a new monthly series planned for creating and using paper in decorations. 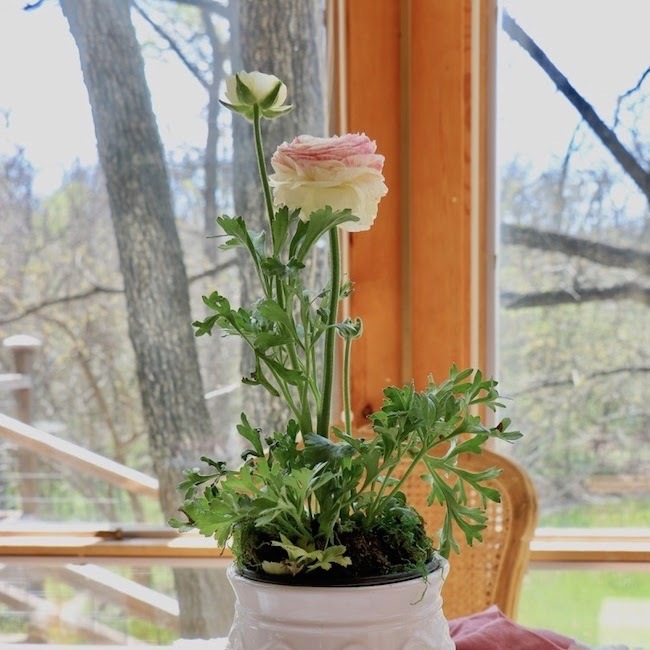 Paper is inexpensive, and so easy to use to add special touches for all occasions. 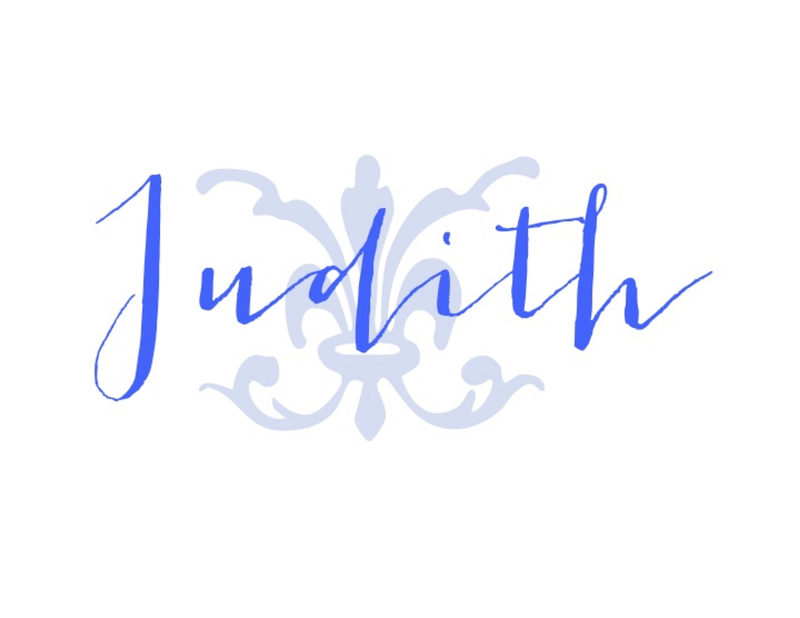 Judith, I'm always in awe of how beautiful your home is and truly, I believe it should be in a magazine! I hate that you are going through challenges right now. How wonderful that your family pulls together in hard times though. If we can do anything to help, let us know! Your little town isn't that far from our little town. 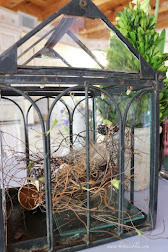 I always love to see how simple yet elegant small touches can change an entire room, and you do it so well. Yes, we all face these issues in our lifetime, yet we still forge ahead, one foot in front of the other, one day at a time. Sometimes, one minute at a time. You’re always in my thoughts, as I’m sure with all your readers, supporting you from afar. A series of jagged days filled with challenges. I couldn't have said it better. Yet you find the most beautiful photos, the loveliest ways to display your seasonal pretties and I love each and every one. I'm delighted to visit from Katie's and since I've been here more than a few times, I think it's time I became a real follower! Welcome to Botanic Bleu as a "real follower." �� You are too funny. Life does give us all some unexpected challenges, but there is always something to be grateful for.... like new followers. Lovely! 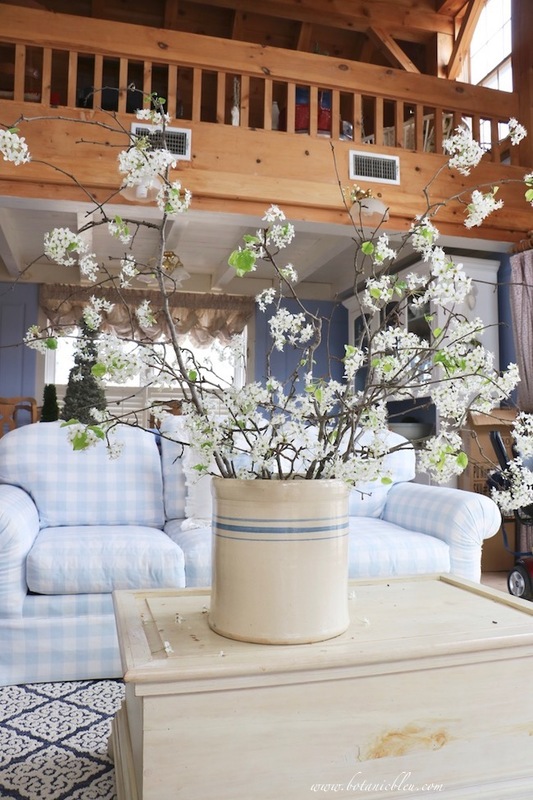 Blue and white -- my favorite. Love your Santas and I'm never tired of seeing "Christmas"! 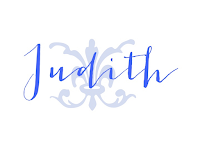 My first visit to your blog but not the last. Your home is lovely and I look forward to more inspiration from visiting. Prayer for you and your family at this time. I thought I was caught up with all of your posts. I'm sorry to hear about your sibling's health challenges. I hope and pray for recovery. 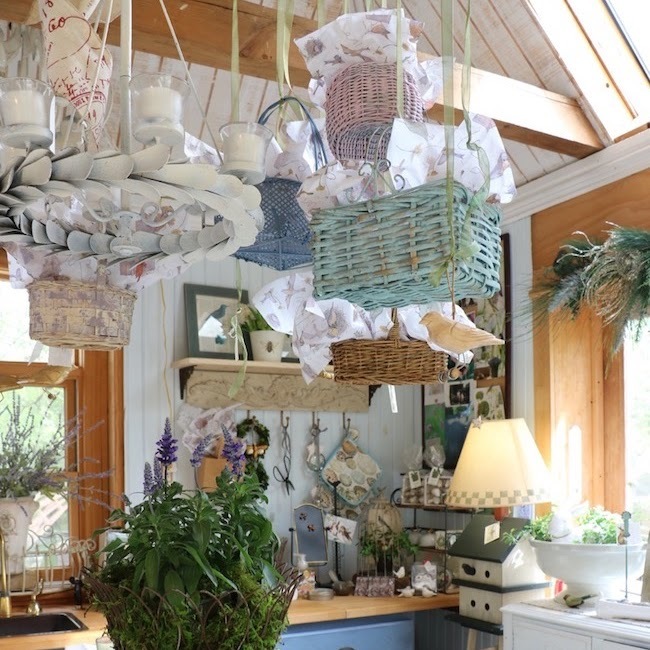 Thanks for sharing your beautiful kitchen decor with our readers at Keep In Touch.